THE TEAM behind the proposed Shetland Space Centre in Unst is set to attend this year’s Royal Edinburgh Military Tattoo as part of celebrations to honour the RAF’s centenary. The company’s logo will be placed on the side of a life-size model rocket built by launch provider Skyrora, which has previously expressed interest in the mooted Unst spaceport. The rocket will go on display at the Tattoo in Edinburgh, while the space centre team will be on hand to speak about their plans. Shetland Space Centre was invited to the event, which spans most of August, by the RAF. The benefits of having a satellite launch site in Unst, meanwhile, has been reiterated again by the team behind the plans. Director Scott Hammond suggested that while satellites launched from Unst would have an unobstructed route into space, other potential launch sites elsewhere in the UK may have to result in transatlantic flights having to be re-routed. Founder and director Frank Strang added: “Our natural advantages are obvious and are right there for everyone to see. Shetland Space Centre is one of a number of potential launch sites vying for funding from the UK government as it looks to kick-off the space industry in the country. 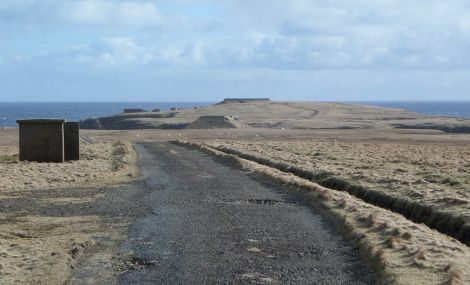 The Unst team, however, said they intend to apply for a spaceport licence even if they don’t secure funding due to the levels of interest from companies in the proposed facility. Space centre – what do Unst folk think?